Computer Literacy, Technician and Networking Courses for each skill level. The Official CompTIA® Linux+® Powered by LPI Instructor Guide (Exams LX0-103 and LX0-104) course builds on your existing user-level knowledge and experience with the Linux operating system to present fundamental skills and concepts that you will use on the job in any type of Linux career. This course can benefit you in two ways. If your job duties include Linux troubleshooting, installation, or maintenance, or if you are preparing for any type of Linux-related career, it provides the background knowledge and skills you will require to be successful. In addition, if you intend to pass the CompTIA® Linux+® Powered by LPI certification examination (LX0-103 and LX0-104) this course can be a significant part of your preparation. 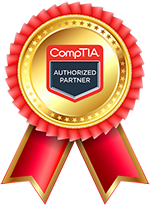 To ensure your success, CompTIA® A+®is helpful but not required. 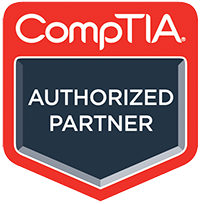 Learnfast is a CompTIA Authorized Partner. CompTIA’s Authorised Partner Programme works collaboratively with organisations throughout the globe to increase market impact, customer satisfaction and revenue to enhance student career opportunities. Did you know? Learnfast won the CompTIA award for the fastest growing partner in the past financial year. View the certificate HERE. This course is intended for entry-level computer support professionals with basic knowledge of computer hardware, software, and operating systems, who wish to increase their knowledge and understanding of Linux concepts and skills to prepare for a career in Linux support or administration, or to prepare for the CompTIA® Linux+® certification examination. A typical student in this course should have at least 6 to 12 months of Linux experience.